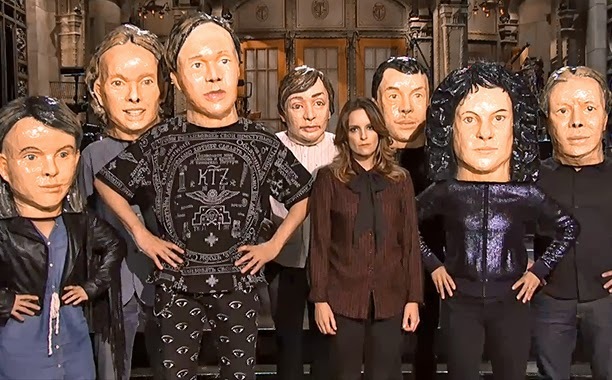 This season represents one of the biggest transitional years in SNL's history. With the departure of longtime stalwarts Bill Hader, Fred Armisen and Jason Sudeikis (and possibly Seth Meyers later this season), only a year after Kristen Wiig and Andy Samberg departed, there is a huge influx of new talent. All of last season's featured players, including breakout ladies Cecily Strong and Kate McKinnon, have been elevated to regular status. Keenan Thompson is now the longest tenured cast member, while Taran Killam, following through from his breakout year last season, is poised to be the new male lead with Hader's departure. And there's six new featured players, all looking to fill the void. That this is a transitional year filled with new faces is clearly not lost on the writers, as that fact dominated this season premiere, featuring into both the monologue and a sketch of its own, to mixed results. The joke in the monologue was good, but strung out, while the gag in the sketch would have been funnier if I wasn't already able to identify the new cast members (at least by appearance - in terms of names they're still "The Guy From The Phone Commercial, The Guy Who Was a Writer For A Long Time, the Girl, and the rest) thanks to the monologue, but was saved by the bit with Lorne. It was probably both necessary (and a good idea) to address this particular elephant in the room, but hopefully this is the last time the show will go to this particular well this season. You've made your jokes about the rookie cast; now lets see them earn their place. X-Factor's dual nature is called into question. 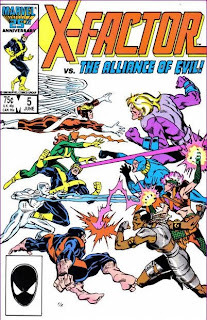 Their mutant hunter garb destroyed in the battle with the Alliance of Evil, X-Factor is forced to sneak aboard their own plane even while media reports connecting their mutant hunter and costumed identities begin to circulate. They return to find their headquarters besieged by both anti- and pro-mutant protesters. Meanwhile, in New Jersey, a pair of irradiated mutants, Bulk and Glow Work, are chased by a group of humans. Escaping into the sewers, they decide to destroy X-Factor before the radiation claims their lives. Back at X-Factor headquarters, Jean finally confronts her teammates about Scott's recent behavior and learns that he's married. 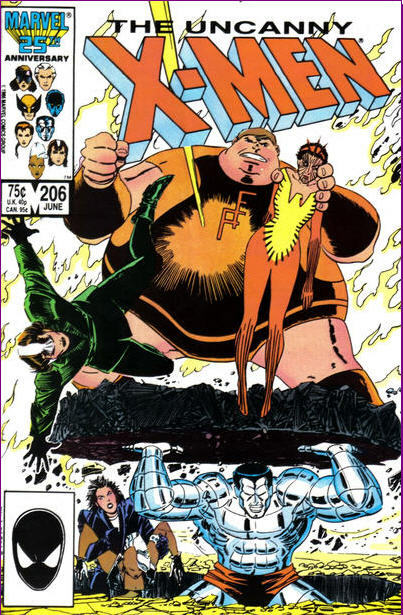 Just then, Bulk and Glow Work emerge outside their building, demanding that X-Factor come out and hunt them. The New Mutants get back at Empath. Following a vacation with his mother, Roberto returns to the school, and is warmly welcomed back by his friends. 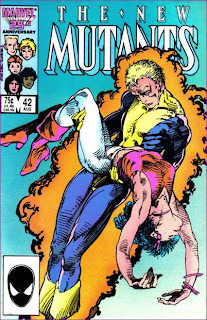 However, upon learning about what Empath did to Tom Corsi and Sharon Friedlander, he is outraged that neither Magneto nor the New Mutants have done anything to get him back. That night, he gathers the team in the boathouse and urges them to strike back at Empath. Illyana is up for it, while the rest defer to Sam and Dani who, despite some doubts, ultimately agree. The next evening, Empath goes to bed, but wakes up in Limbo, where Illyana threatens to hand him over to S'ym before slashing him with her Soulsword. The X-Men and Hellfire Club come to blows over Phoenix. In the Morlock Tunnels, the X-Men lambast Wolverine for trying to kill Rachel, despite his insistence that it was a necessary act, then set out alongside Callisto and some Morlocks to track down Rachel, unsure if she's even still alive. Meanwhile, in Central Park, a weakened Selene kills a mugger and his victim to rejuvenate herself, then entreats the Lords Cardinal of the Hellfire Club to seek out Rachel. 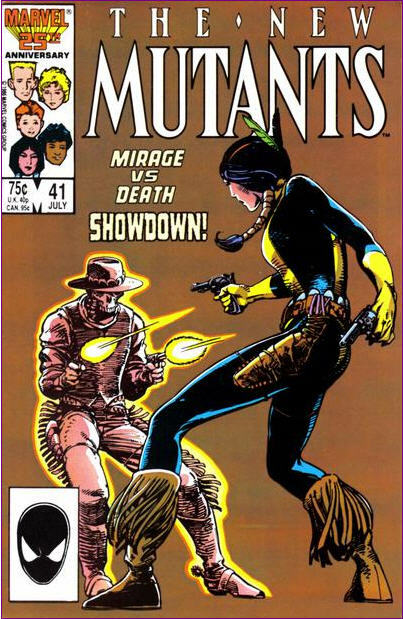 Though Selene deigns to kill her, Sebastian Shaw insists she's captured alive, so that the Hellfire Club may use her to their ends. Elsewhere, Nimrod detects Rachel's weakened state, and determines this is the best time to eliminate her. 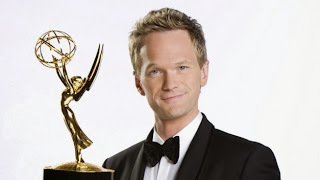 The notion that the creators were going to stretch this final season out to cover the roughly 55 hours encompassing Barney and Robin's wedding weekend seemed like a dubious idea, at best, last spring when it was announced, and the big fear was that the ensuing product would resemble the show we'd watched for eight seasons in name only. 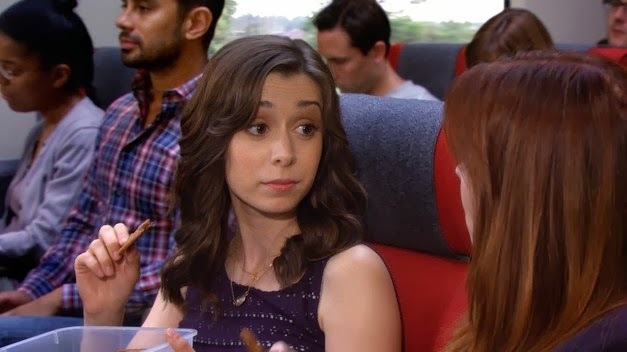 While there is still plenty of time for all this to go hideously off the rails, the first two episodes of How I Met Your Mother's final season suggested that this season may not end up feeling or looking all that different from previous ones. As much as the present-day timeline was condensed, and as much as the main cast was largely scattered for much of these first two episodes, this still felt fundamentally like the same show it's always been, and that's a relief. 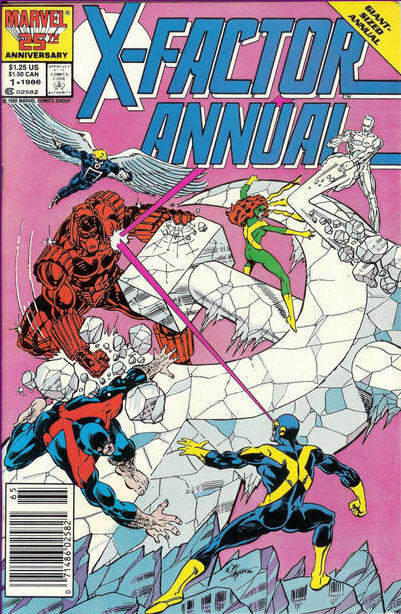 Barring a couple annuals and a Spider-Man/X-Factor crossover, this is another relatively straightforward month as we launch into "Mutant Massacre". Today marks the official beginning to the 2013-2014 network TV season (such as that means anything anymore and even though some shows, like Fox's Sleepy Hollow, jumped the gun and premiered last week), which means I'll be returning to weekly TV coverage once again. However, as has become something of the norm each fall, I'm changing things up once again. Instead of a weekly "Last Week in TV" post, starting this week I'll be doing a "Last Week in Pop Culture" post. This will not only cover current TV shows I've watched in the previous week, but older shows as well (I'm currently watching season one of X-Files and season two of Cheers, as time permits, via Netflix), and also movies I've seen, books and comics I've read, stuff I've bought, etc. Pretty much any bit of pop culture ephemera will be fair game. Sam visits home, fights and makes up with Lila Cheney. Returning home to visit his family, Sam gets a cold reception from his brother Joshua. 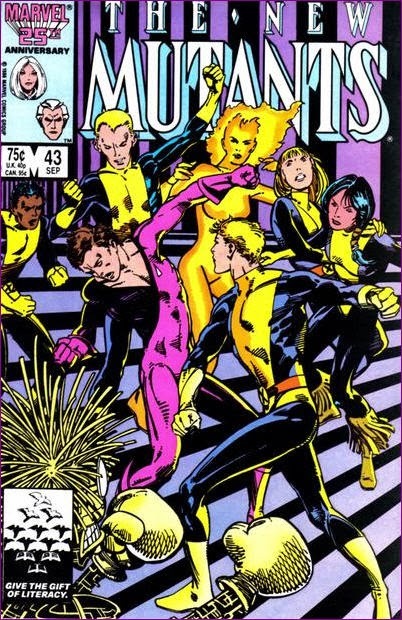 Torn between his responsibities to the New Mutants and his family, Sam decides to return home for good, to help around the farm and guide Josh. He visits Lila, putting on a concert in nearby Charlotte, along with Dazzler, who is still in disguise as part of her band. Sam and Lila discuss Lila's impending visit to meet Sam's family. She shows him a present she plans to give his mother, but Sam is outraged that Lila would give his mother something she'd stolen. Lila is appalled Sam would think that of her, and Sam blasts off, their relationship effectively over. The next day, he confronts Josh, who expresses both jealousy at Sam for getting to leave home and resentment that he shirked his responsibilities to the family. Later, Sam talks with his mother, who tells him things are well in hand at home and urges him not to leave Xavier's school. Phoenix decides to take out Selene, forcing Wolverine to stop her. 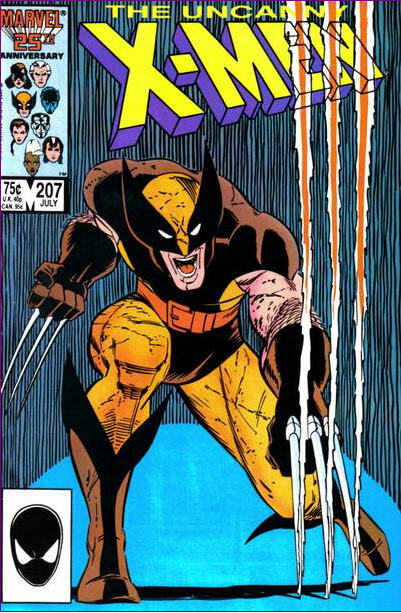 The X-Men are staying in the Morlock Tunnels as Wolverine recovers from his recent wounds. Rachel is plagued by dreams in which she's stalked and killed by Wolverine, as she's psychically pulling his mind into hers, forcing him to share the dreams with her. 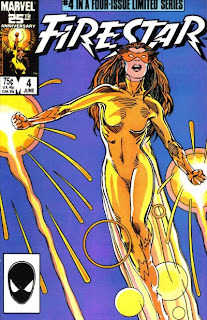 Finding little sympathy amongst the X-Men, who are in some cases still resentful of Rachel having taken their life essences to battle the Beyonder, she leaves the tunnels to wanders the streets of New York. Wondering if it wouldn't have been better for her to die in the future along with her teammates, she falls asleep on the subway. After being awoken by a kindly police officer, she is reminded of the kindness she received from a stranger her first night after arriving in the present, a man who was killed by Selene. Determined to do something good, she sets off to finish Selene once and for all. No time for a preamble, here's 2013's Summer Movie Report Card! A huge step above the lackluster previous film in the series and a worthy follow-up to The Avengers, I still would have liked a bit more of Iron Man himself and more nods to the shared universe. 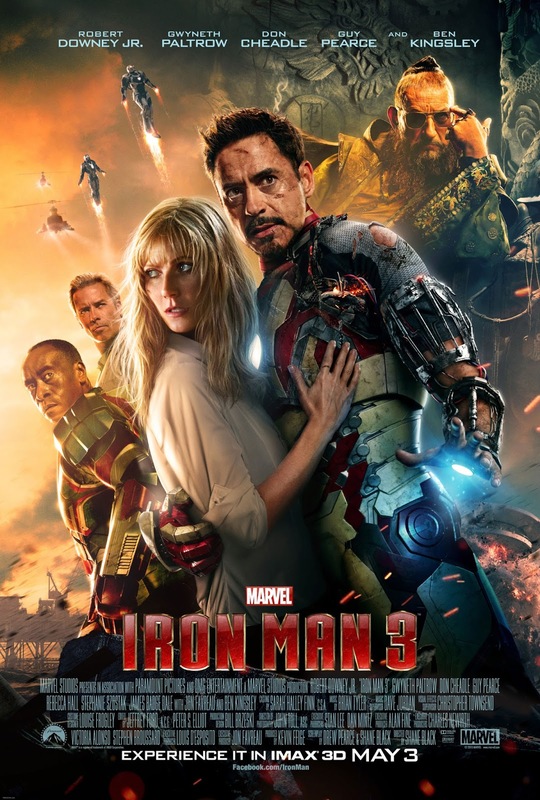 Nevertheless, there's no denying this was well-crafted and tremendously fun, largely carried by Robert Downey Jr.'s phenomenal performance. 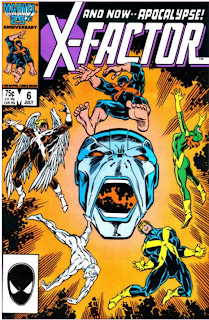 Apocalypse makes a brief first appearance in Bob Layton's last issue. In Southern California, a mutant named Mike Nowlan escapes from a seaside chateau, pursued by a group of mutants, including Frenzy and Tower, called the Alliance of Evil. He escapes in a waiting car, but Tower knows where he's heading. Stopping at a motel, Nowlan contacts his ex-wife, Suzy, hoping she can get him some drugs, as being stoned makes his power useless, which would in turn render him useless to the Alliance. But Suzy insists she's gotten clean and refuses to help him, Hanging up, she sees an ad for X-Factor, and decides to call them about Nowlan. In New York, Cameron Hodge tells X-Factor about Nowlan, and they agree to head to San Diego. At that moment, Suzy is packing her bags, prepared to skip town for fear Nowlan will find her, when she's attacked by the Alliance. X-Factor arrives in San Diego and tracks Nowlan to his hotel, but he freaks out at the sight of X-Factor, instinctively using his power and amplifying their abilities to uncontrollable levels. Dani fights Death for the life of an old friend. 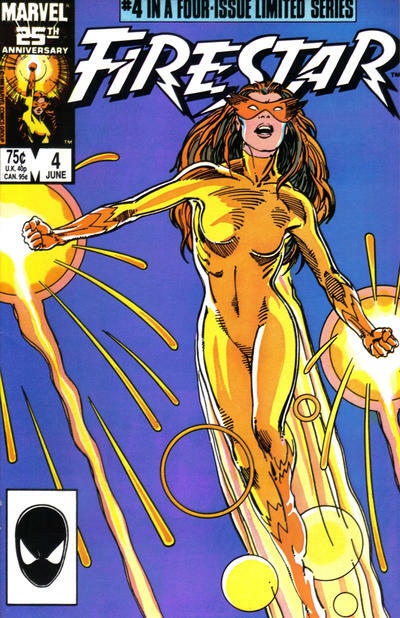 Dani flies Brightwind home to visit her parents at their ranch in Colorado, filled with doubts about herself and her place with the New Mutants. The next morning, she heads to the mall, where she encounters Pat Roberts, a local boy and old friend who proceeds to harass Dani. When Dani sees an image of Death appear above Pat, she rushes off. As Pat and his friends leave, Dani watches astride Brightwind, hoping to prevent his impending death, but the onset of a blizzard forces her home. 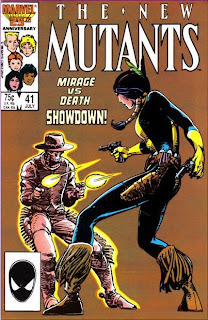 The next morning, with her parents stranded at another ranch, she finishes the household chores, telling Brightwind about how, before she joined the New Mutants, she and Pat were best friends, until the day her power manifested and she created images of his greatest fear and desire in front of his whole family. Ever since, he's hated her. Just then, she picks up a distress call from Pat on the CB radio. She flies into the storm atop Brightwind and finds his crashed truck, with a wounded Pat inside. The X-Men battle Freedom Force in San Fransisco. In San Fransisco, Storm stops a mugging, to much appreciation from both the victims and the arriving police, including Lt. Bree Morrell. Storm returns to Jessica Drew, the former Spider-Woman's, house as Kitty leaves on a date with Jessica's friend David Ishima. Meanwhile, on a flight bound for Los Angeles, Amanda Sefton questions the state of her relationship with Nightcrawler in light of their recent fight. 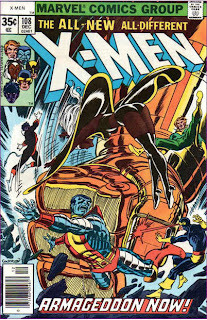 Back in San Fransisco, Kitty returns from her date just as Freedom Force attacks the X-Men. 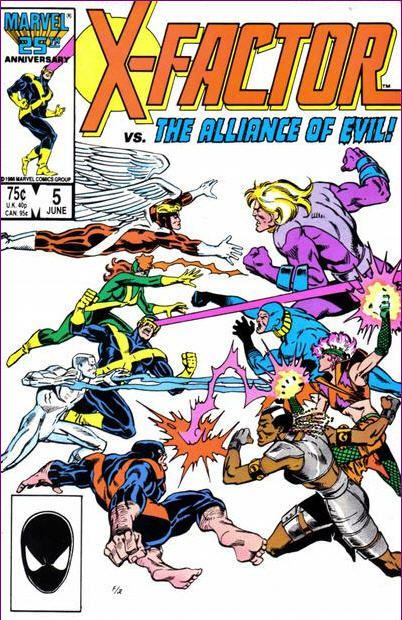 The X-Men do their best against their old foes, but splitting their focus to help the bystanders caught in the middle of the melee causes them to be overwhelmed, especially after Rogue tries to absorb Spiral's powers but instead finds herself taken over by Spiral. 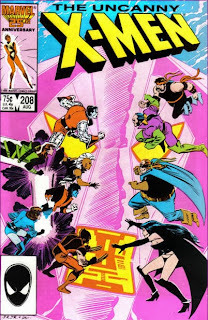 X-Factor fights an evil mutant behind the Iron Curtain. X-Factor returns home from a series of missions and meets with representatives from the Soviet Union, who want X-Factor to come to their country and advise their scientists on methods for hunting mutants. X-Factor is reluctant to do so, but they are contacted by Senator Thompson, who tells them the truth about the mutant situation in Russia: mutants are detained and experimented on in a death camp, with the ultimate goal of creating artificial mutants beholden to the Soviet Union. X-Factor agrees to go to Russia, shut down the camp and capture the scientist responsible for running it, Helmut Heinreich. 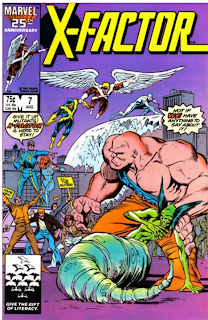 While Angel flies ahead alone, to locate the camp, the rest of X-Factor arrive in Russia and are introduced to Heinreich. 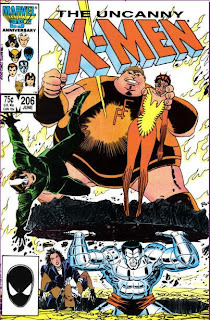 Unknownst to them, Heinreich is actually a mutant himself, and quickly realizes the truth about X-Factor. 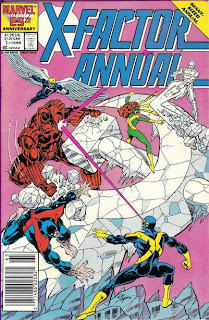 He captures Iceman, duplicating his powers and appearance, then takes his place on the team. "Mark of the Mutant! / The Players and the Pawn! / This Lady Kills / Now Strikes the Assassin!" Issue #1: Angelica Jones is starting at a new school, but despite her efforts to make friends, she is quickly targeted by the popular girls. They continue to torment her throughout the year, culminating in a manifestation of her mutant power which is noticed by both Professor Xavier and the White Queen. After her beloved grandmother dies, Angelica reveals her powers to her father, who worries about what to do with her. He is approached by the White Queen, and agrees to send his daughter to the Massachusetts Academy so she can learn to control her abilities only moments before Professor X arrives. Issue #2: Angelica, looked after by a Hellfire Club guard named Randall, trains in the use of her powers by the White Queen, but is kept separate from the other Hellions, as the White Queen is preparing Angelica to be an assassin. 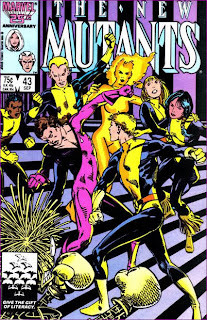 She subconsciously teaches Angelica to fear and hate the X-Men, then invites the New Mutants to a dance at the school to test her loyalty. Angelica and Sam Guthrie form a connection, but the White Queen makes Angelica fear that she is endangering Sam with her powers, and she runs off, accidentally starting a fire that seemingly kills her beloved horse. Afraid of her lack of control, Angelica asserts that the White Queen is the only person she can trust, unaware that the White Queen staged everything to make Angelica more dependent on her.